"And the light shineth in darkness, and the darkness did not comprehend it." For sixteen years Leon Wilkes has studied the paranormal and demonology. At an early age he found that his love for the paranormal would only heighten as he watched the show Unsolved Mysteries. This was the starting point for his career in the paranormal, preternatural studies and investigations. 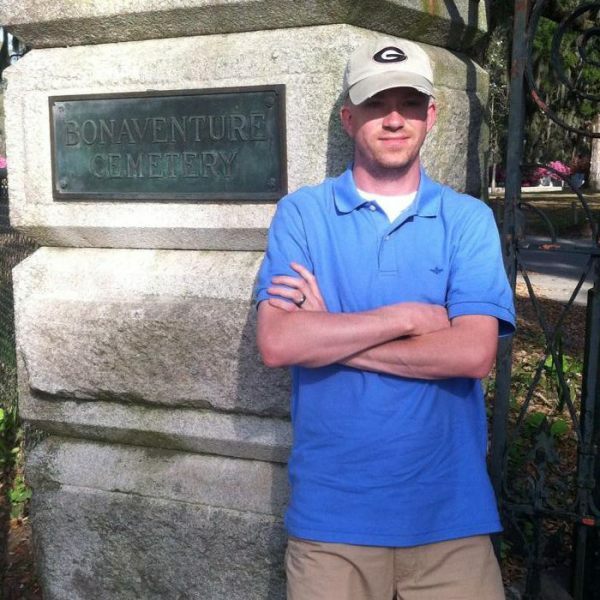 When he turned the age of 21, he started researching and studying the paranormal field in which it culminated to him co-founding a paranormal team out of Georgia. During this time he was able to work with many people throughout the paranormal field that shaped in him into the investigator that he is today. He directly acknowledges that the team and people that he worked with in his early years of paranormal research had a great impact on him and he thanks them every day. Today Leon is the only one being tutored in Religious Demonology by Dave Considine, Religious Demonlogist. During his later years with the team that he co-founded he was getting a calling from God to do more in this field than just investigations. In fact, this calling was so strong that he could no ignore it, and finally started to study the field of religious demonology. He studies this field from a religious perspective and deeply studies the Biblical truths that surround this field. He also studies the workings of the previous demonologists that had the greatest amount of impact on how we should help people from a religious standpoint. He has worked with other well known demonologists throughout the nation and has consulted on cases as far away as Scotland, while having time to be a research analyst on the movie set of The Legend of Seven Toe Maggie. He has appeared on internet shows such as Family Spirit, Demonology Today and The Grand Dark Conspiracy. With his dedication to the field of demonology and to God he vows to never stop at what he does and this is to help combat the forces of evil by Biblical truth and to empower people to use their God given authority over Satan and his forces. Leon has served in the United States Air Force for the past eleven years, attaining the rank of Technical Sargeant. Leon states that, "seeing people get help at the end of the day is just what keeps me going." His dedication to the spiritual warfare battle is intense, and he travels all over the Southeast to aid individuals. Leon gives all the praise and glory to God almighty for aligning all the people in his life that has took the time to help him in his studies of demonology but, more importantly, he also thanks God everyday for bringing into his life his wife and three adorable children. They are the people who continually ground him so that he will not get sucked into his studies of demonology too much to where it consumes him.